On a day dedicated to protecting our planet and appreciating nature, we couldn’t think of a better way for you to show your support for Earth Day than to get out and enjoy some of the beautiful, more rural areas of Spencer County. Stroll through the beautiful, serene grounds and historic buildings of the Saint Meinrad Archabbey. You’re in for a peaceful and spiritual treat with blooming scenery that will leave you breathless. And as if it couldn’t be any more majestic, you may find it interesting to know that it is one of only two archabbeys remaining in the United States! 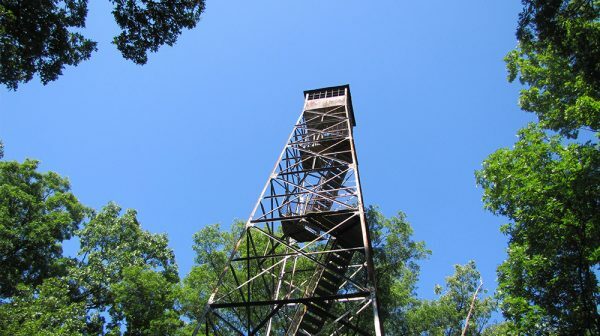 Climb the Lincoln State Park Fire Tower that overlooks the entire span of Spencer County. At the top, you’ll be able to enjoy the county for miles and miles. And while you’re out there, you can make the most of your Earth Day by taking advantage of the 10 miles of easy to moderate hiking trails, rolling forested hills, and two picturesque lakes. This golf course has earned an excellent reputation among golfers all over the world. Known for its rolling hills, valleys, and sparkling lakes, this well-manicured course is peaceful as well as beautiful. Spend Earth Day here and grab a bite to eat at the 19th Hole Restaurant for all your food and beverage needs. We propose that you end your Earth Day with a double feature relaxing on a blanket under the stars. It’s one of the few drive-ins left in the U.S. and is the only place where you can be both lost in a good movie and lost within nature, tucked away unbothered behind the trees. Movies typically start around dusk so you’ll also get to wind-down watching the sunset. All of these locations are great for any family-friendly Earth Day adventure. In reality, though, every day is Earth Day! You can enjoy these pretty places seasonally and some, all year long!